FROM the beginning of the reign Cecil had never ceased to impress upon his mistress that a French or Spanish invasion on behalf of the Pope might at any time be expected, and that she should hurry to meet it by forming a league with the foreign Protestants of both Confessions, and vigorously assisting them to carry on a war of religion on the Continent. He was assuredly too well informed to believe that France and Spain would cease to counteract each other’s designs on England, or that Lutherans and Calvinists would heartily combine for mutual defence. The enemies he really feared were his Catholic countrymen, with whom he would have to fight for his head if Elizabeth should die. He therefore desired to force on the struggle in her lifetime, when they would be rebels, and he would wield the power of the Crown. Elizabeth, on the other hand, was against interference on the Continent, because it would be the surest way to bring upon England the calamity of invasion. She saw as plainly as Cecil did that it would compel her to throw herself into the arms of her own Protestants and to become, like her two predecessors, the mere chief of a party; whereas she meant to be the Queen of all Englishmen, and to tranquillise the natural fears of each party by letting it see that it would not be sacrificed to the violence of the other. Moreover the unbridled ascendancy of the Protestants would mean such alterations in the established worship as would have driven from the parish churches thousands of the most military class, peers, squires and their tenantry, who were enduring Anglicanism with its episcopate, its semi-Catholic prayer-book, and its claim to belong to the Universal Apostolic Church, because they could persuade themselves that its variations from the old religion were unimportant and temporary. And this again would increase the probability of foreign invasion. For, though to Philip all forms of heresy were equally damnable and equally marked out for extermination sooner or later, yet he was in much less hurry to begin with the politically harmless Lutherans or Anglicans than with the dangerous levellers who derived their inspiration from Geneva. Now for Elizabeth to gain time was everything. She had gained ten precious years already by her moderation. She was to gain twenty more before the slow-moving Spaniard decided to launch the great Armada. But though Elizabeth shunned war with Spain she nevertheless resognised that Philip was the enemy, and that all ways of damaging him short of war were for her advantage. English and Huguenot corsairs swarmed in the Channel. Spanish ships were seized. The crews were hanged or made to walk the plank; the prizes were carried into English ports, and there sold without disguise or rebuke. These outrages were represented as reprisals for cruelties inflicted on English sailors who occasionally fell into the hands of the Inquisition. Practically a ship with a valuable cargo was treated as fair game whatever its nationality. But while in the case of other countries it was only individual traders who suffered, to Spain it meant obstruction of her high road to her Belgic dominions, then simmering with disaffection. The English nobles of the old blood disliked these proceedings. Even Cecil did not conceal from himself that they fostered a spirit of lawlessness. What the corsairs were doing he would have preferred to see done by the royal navy. To that Elizabeth would not consent. The activity of the corsairs gave her all the advantage she could hope to have from war, without any of its disadvantages. Instead of laying out her treasure on a navy, she was deriving an income from the piratical ventures of Hawkins and Drake; while the ships and sailors of this volunteer navy would be available for the defence of the country whenever the need should arise. Whatever may be thought of the morality of her plan, there can be no question as to its efficiency and economy. Since even these outrages, exasperating as they were, had not goaded Philip to the point of declaring war, a still more daring provocation now followed. Some ships, conveying a large sum of money borrowed by Philip in Genoa for the payment of Alva’s army, having put into English ports to avoid the corsairs, Elizabeth, with the hearty approval of Cecil, took possession of the money, and said she would herself borrow it from the Genoese (December 1568). The Minister hoped this would bring on a war. The Queen audaciously but more correctly anticipated that Philip’s resentment would still stop short of that extremity. He remonstrated: he threatened: he seized all English ships and sailors in his ports. Elizabeth, undismayed, swept all the Spaniards and Flemings whom she could find in London into her prisons, and seized their goods, to a value far greater than that of the English property in Philip’s grasp. In striking contrast with this unflinching attitude towards Spain was the behaviour of Elizabeth when threatened with war by France, unless she undertook to close her harbours to the Huguenots, and to forbid her own corsairs to prey on French commerce. The summons was promptly obeyed. Full satisfaction was made (April 1569). Yet France was at the moment a far less formidable antagonist than Spain. The French government did not possess the means of invading England. On this side of the Channel the old anti-French feeling was so persistent that all parties were ready and willing for the fray. The defeat of the Huguenots at Jarnac (April 1569) may have had something to do with Elizabeth’s compliance. But what influenced her still more was her perception that war with France would compel her to place herself under the protection of Spain; whereas she desired to keep Spain at arm’s-length, and to maintain a good understanding with France, as did Eliot, Pym, and Cromwell afterwards, regardless of the rooted prejudices of their countrymen. Elizabeth probably stood alone in her judgment on this occasion. The quarrel with Philip had more serious results at home than abroad. It was indirectly the cause of the only English rebellion that disturbed the long reign of Elizabeth. Most of the nobility and gentry, even when professedly Protestants, regretted the alienation of England from the Universal Church. If they had all pulled together they must have had their way, for they were the military and political class. But their discontent varied widely in its intensity. There were nobles like Sussex who were resolved to serve their Queen loyally and zealously, but who, all the same, wished her to cultivate a good understanding with Philip, to marry the Archduke, to abstain from assisting the Huguenots, to give no countenance to the rovers, to recognise Mary as her heir-presumptive and marry her to Norfolk. There were others like Norfolk, Montagu, Arundel, and Southampton, who had treasonable relations with the Spanish ambassador, and aimed at overthrowing Cecil, marrying Mary to Norfolk, and compelling the Queen to restore the Catholic worship, or at least to make such changes in the Anglican model as would facilitate a reunion with Rome when Mary should succeed. A third party, headed by the Catholic lords of the north, was plotting to depose Elizabeth in favour of Mary, and to marry the latter to Don John of Austria. With these powerful nobles in opposition, who, before the Reformation, could have hurled any sovereign from his throne, where was Elizabeth to look for support? The town populations were Protestant –too Protestant indeed for her taste. But the town populations were a minority, and less military than the landowners and their tenants. She had her Cecils, Bacons, Walsinghams, Hunsdons, Knollyses, Sadlers, Killegrews, Drurys, capable and devoted servants, but new men without territorial wealth or influence, and with no force except what they possessed as wielding the power of the Crown. It would be difficult to name more than half-a-dozen peers who zealously promoted her policy. Most of them looked on it coldly, and would support her only as long as she seemed to be strongest. Mary’s rejection of Elizabeth’s terms coincided with the quarrel with Philip (December 1568). The disaffected nobles thought that the time was now come for striking a blow. Conscious that the feudal devotion of the gentry and yeomanry to their local chiefs had in Tudor times been largely superseded by awe of the central government, they were importuning Philip to give them the signal for rebellion by sending a division of Alva’s army from the Netherlands. Philip, cautious as usual, and afraid of driving England into alliance with France, declined to send a soldier until either the Norfolk party had overthrown Cecil, or the northern lords had carried off Mary. Between these two sets of conspirators there was much jealousy and distrust. The Spanish ambassador thought the southern scheme the most feasible. Not without difficulty he persuaded the northern lords to wait till it should be seen whether the Queen could be induced or compelled to sanction the marriage of Mary with Norfolk. If she refused, they were to make a dash on Wingfield, a seat of Lord Shrewsbury’s in Derbyshire where Mary was staying, while Norfolk was to raise the eastern counties. All through the summer of 1569 these plots were brewing. Three times Norfolk and his father-in-law Arundel went to the Council with the intention of arresting Cecil. Three times their hearts failed them. The northern lords, who were not members of the Council, came up to London to see Norfolk bell the cat, but went back, more suspicious than ever, to make their own preparations. Cecil himself seems to have been hedging. In his private advice to the Queen he was opposing the Norfolk marriage, pointing out that free or in prison, married or single, in England or in Scotland, Mary must always be dangerous, and breathing for the first time the suggestion that she might lawfully be put to death in England for complicity in English plots. In the Council he concurred in a vote that she should be married to an Englishman –in other words, to Norfolk. If Elizabeth could have felt any confidence in Norfolk’s loyalty, it seems probable that much as she disliked the marriage she would have yielded to the almost unanimous pronouncement of the nobility in its favour. But a sure instinct warned her of her danger. “If she consented she would be in the Tower before four months were over.” After much deliberation she commanded the Duke on his allegiance to renounce his project. He gave his promise, but soon retired to his own county, and sent word to the northern earls that “he would stand and abide the venture.” But while he was shivering and hesitating, Elizabeth, for once, was all promptitude and decision. Mary was hurried to Tutbury Castle. Arundel and Pembroke were summoned to Windsor, and kept under surveillance. Norfolk himself came in quietly, and was lodged in the Tower. Thus the southern conspiracy collapsed (September-October 1569). The Catholic lords and gentlemen of the north who had been awaiting Norfolk’s signal, were staggered by his tame surrender. Sussex, who was in command at York, and who, being of the old blood himself, did not care to see old houses crushed, advised Elizabeth to wink at their half-begun treason, and be thankful it had not come to fighting. She winked at the attempted flight to Alva of Southampton and Montagu, and even affected to trust the latter with the command of the militia called out in Sussex. She could afford to ignore the disaffection of a southern noble. A Sussex squire or yeoman, even if he was not a Protestant, would think twice before he cast in his lot with rebellion. The northern counties were mainly Catholic. They were much behind the south in civilisation. The Tudor sovereigns were never seen there. Great families were still looked up to. Elizabeth knew that though rebellion might be adjourned, might possibly never come off, it was a constant menace, which crippled her policy. She determined therefore to have done with it, once for all, and summoned Northumberland and Westmoreland to London. Thus driven into a corner, the two earls burst into rebellion. They entered Durham in arms, overthrew the communion table in the cathedral, set up the old altar, and had mass said (14 November 1569). Next day they marched south, with the object of rescuing Mary from Tutbury. But when they were within fifty miles of that place, Shrewsbury and Huntingdon, in obedience to hurried orders from London, conveyed her to Coventry. Having thus missed their spring, the rebel earls halted irresolutely for three days, and then turned back. Their followers dropped away from them. Clinton and Warwick were on their track, with the musters of the Midlands; and before the end of December they were fain to fly across the Border. Northumberland was arrested by Moray. Two years later he was given up to Elizabeth, and executed. Westmoreland, after being protected for a time by Ker of Ferniehirst, escaped to the Netherlands, where he died. England was not again disturbed by rebellion till the great civil war. The failure of the northern earls to kindle a general rebellion was due to the cautious and temporising policy for which Elizabeth has been so severely blamed by heated partisans. The powerful party which preferred a Spanish alliance, disliked religious innovation, and looked forward to the succession of Mary, had not been driven to despair of accomplishing those ends in a lawful way. Their avowed policy had not been proscribed–had not even been repudiated. Some of their chief leaders were on the Council–as we should say, were members of the Government; others were employed and trusted and visited by the Queen. They objected to being hurried into civil war by the northern lords, who were not of the Council, who kept away from London, and were rebels by inheritance and tradition. They would have nothing to do with the ill-advised movement; and, as in those days neutrality in the presence of open insurrection was no more permissible to a nobleman than it would be now to an officer in the army, they had no choice but to range themselves on the side of the Government. If Elizabeth had openly branded the Queen of Scots as a murderess, if she had pointed to Huntingdon or the son of Catherine Grey as her successor, if she had put herself at the head of a Protestant league, she might possibly have come victorious out of a civil war. But a civil war it would have been, and of the worst kind: one party calling in the Spaniard, and the other, in all probability, driven to call in the Frenchman. The assassination of Moray a few weeks later (23 January 1570) was a severe blow to Elizabeth, and an irreparable disaster to his own country. An attempt has been made to create an impression that the English Queen was somehow responsible for his death, because she did not march an army into Scotland to support him. He no more wished to receive an English army into Scotland than Elizabeth wished to send one. Therein they were both of them wiser than the critics of their own day, or this. What he did ask for was money, and the recognition of James. The request for money Elizabeth was willing to consider, though, as a rule, she did not believe in paying for any work she could get done gratis. The recognition of James seems a very simple thing to the critics. But it was as difficult for Elizabeth as the recognition of the Prince of Bulgaria is now to Austria, and for similar reasons. She was under no obligation whatever to Moray. His own interest compelled him to play her game. But she well knew his value. On hearing of his death she shut herself up in her chamber, exclaiming, with tears, that she had lost the best friend she had in the world. As long as Moray lived, and was able to keep the Marian lords in some sort of check, Elizabeth judged, and rightly, that she had more to lose than to gain by any open interference in Scotland. It was no business of hers to put down anarchy there. Scotch anarchy did not imperil England. What would imperil England would be the appearance of French troops in Scotland; and she judged that nothing would be so likely to bring them there as any pretension to establish an English protectorate. Her Protestant councillors fretted at her laisser faire policy. But then they, for personal or at least for sectarian reasons, were eager for that general European conflagration which she, with superior discernment and larger patriotism, was trying to avert. The death of Moray so weakened the King’s party that it became necessary to give them a little help. Elizabeth gave it in such a way as she thought would be least likely to excite the jealousy of France. She told the new Regent Lennox that, though she could not send an army to support him, she would send one to chastise the Hamiltons and the Borderers, who were harbouring her rebel the Earl of Westmoreland, and, along with him, making raids into England. This was done sharply and thoroughly. The robber holds on the Border, and Hamilton Castle itself, were one after another taken and blown up by the English Wardens of the Marches (April and May 1570). The peace of St. Germain between the French court and the Huguenots (August 8, 1570), and the disgrace of the Guises, were followed by negotiations for a tripartite treaty between England, France, and Scotland on the basis of the restoration of Mary. Elizabeth, of course, insisted on the guarantees she had often sketched out. She was willing–nay, anxious–to leave Scotland alone, if the French would do the same. The French, on the other hand, felt that the equality of such an arrangement was more seeming than real, because there were always English troops lying at Berwick, within sixty miles of Edinburgh. They haggled over the guarantees, and in the meantime, notwithstanding the real desire of Catherine and Charles IX. to conclude an alliance with Elizabeth against Philip, they continued to send money and encouragement to the Marian lords in Scotland. For if, for any reason, the English alliance should not come off, they meant to take up Mary’s cause in earnest, and detach her from her Guise relations by marrying her to the Duke of Anjou, afterwards Henry III. All this was known to Elizabeth, and in her extreme anxiety for the tripartite treaty, she thought the moment was come to dangle the bait which she always reserved for occasions of special importance. She informed the French ambassador that she was ready to marry Anjou herself. It is not to be supposed that she had the least intention of doing so. She had settled with herself from the first how she would get out of her proposal when it had served its turn. A minor motive for this move was the hope that it would reconcile her Protestant councillors to the restoration of Mary. She did not succeed with all of them. Some continued to mutter that Anjou was a Papist, that tripartite treaties were a delusion, and that the only safe course was to grasp the Scotch nettle and uphold James with the whole force of England. But upon Cecil the effect was almost comical. He jumped at the plan. Anything that was likely to make Elizabeth a mother would be salvation to him. Whether the Queen at the mature age of thirty-seven was likely to be happy with a husband of twenty was a question that did not give him a moment’s concern. She was not too old to have two or three children, and, that result once achieved, Mary might go to Scotland or anywhere else for what he cared, and do her worst. The sanguine man already saw visions of a converted Valois heading an Anglo-French crusade against Philip, and establishing the reformed faith throughout Europe. Walsingham his right-hand man, then ambassador at Paris, was equally bitten. This was in the year before the massacre of St. Bartholomew. The overture of Elizabeth was very welcome to the French court. Negotiations for the match were soon opened, and continued during the first six months of 1571. At the same time, both the Scotch factions were summoned to accept the tripartite arrangement. Mary was at first eager for it, and instructed her agent, the Bishop of Ross, to swallow every condition that might be imposed. She looked on it as the only means of obtaining her release. But there is ample proof that she intended to throw its stipulations to the winds and fight for her own cause when once she should get back to Scotland. In playing this perfidious game, she had confidently counted on the help of France. The Regent’s party, however, declined the treaty. They dreaded Mary’s return, and they had no wish to shake hands with the Marian lords or admit them to a share in the Government. The tripartite scheme thus fell through. Mary herself ceased to care for it as soon as she heard of the projected match between Elizabeth and Anjou. She saw that if France was going to co-operate heartily with England, her sovereignty in Scotland would be merely nominal. She might almost as well remain with Lord Shrewsbury. To remain quietly in England and be content with her position as heir-presumptive to the English crown was indeed the best and safest course open to her. She had only to acquiesce in it and give up plotting, and she might have lived here in considerable magnificence, and with as much freedom as she could desire. If she wished for a husband, she might have married any Englishman of whose loyalty Elizabeth could feel assured. It was of the greatest importance to both countries that she should bear more children. For it must be remembered that if James had died in his childhood, his next heir was a Hamilton, who had no title to the English throne. If the proposed Anjou match had not produced the full results which Elizabeth hoped, it had at least defeated the plans and disorganised the party of her rival. It had served its turn; and all that now remained was to get out of it as decently as possible. The old pretext for breaking off the Austrian match was reproduced. Anjou could not be allowed to have a private mass; and when, in its eagerness, the French court seemed disposed to give way on this point, Elizabeth began to talk about a restitution of Calais. Ruefully did poor Cecil watch the vanishing of his dream. It was to no purpose that he tried to frighten Elizabeth by representing that a jilted prince would be converted into an angry enemy. She knew better. Anjou comprehended that she did not mean to have him, and, to avoid the indignity of a refusal, himself broke off negotiations. But, as Elizabeth had calculated, the new alliance did not suffer. The French King went out of his way to say that “for her upright dealing he would honour the Queen of England during his life,” and Catherine, most unsentimental of women, had another suitor to offer–her youngest son Alençon, then just turned seventeen! While the negotiations for the Anjou match were going on, what is known as the Ridolfi Plot was hatching against Elizabeth. Ridolfi, an Italian banker in London, and secretly an agent of the Pope, was in close relations with Norfolk and the other peers who for two years had been dabbling in treason. They were still pressing Philip to invade England; but he and Alva were less than ever disposed to undertake the venture since the pitiful collapse of the northern insurrection. In order to impress Philip with the importance of the conspiracy, Ridolfi went to Madrid, and showed Philip a letter purporting to be written by Norfolk, to which was attached a list of noblemen stated to be favourable to the cause. It contained the names of forty out of the sixty-seven peers then existing, while, of the rest, some were marked as neutral, and fifteen at most as true to Elizabeth. The classification was on the face of it absurdly untrustworthy. But correct or incorrect, it did not weigh with Philip. He wanted deeds, not lists of names, and Ridolfi was informed that, unless Elizabeth were first assassinated or imprisoned, not a Spanish soldier could be sent to England. 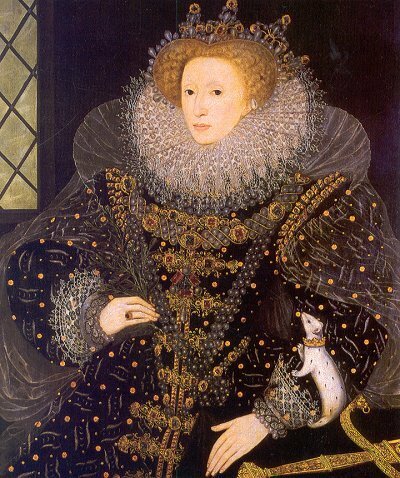 Whatever secret disaffection might prevail among the peers, the temper displayed by the new House of Commons, elected in the spring of 1571, was not of a kind to encourage Elizabeth’s enemies at home or abroad. So far as can be judged from its proceedings and debates, it was not only entirely Protestant, but largely Puritan. (1) A bill was passed by which any person refusing, on demand, to acknowledge Elizabeth’s right to the crown was made incapable of succeeding her; a provision which, though it did not name Mary, could apply to no one else. It was made high treason to deny that the inheritance of the crown could be determined by the Queen and Parliament. To affirm in writing that any particular person was entitled to succeed the Queen, except the Queen’s issue, or some one established by Parliament, was made punishable with imprisonment for life, and forfeiture of all property for the second offence. The plot which Ridolfi was so busily pushing in 1571 was, in fact, a continuation of the twin aristocratic conspiracies, one of which had exploded in the northern insurrection. By forcing that insurrection to break out before the southern conspirators had made up their minds what to do, the Government had effectually destroyed what chances of success the disaffected nobles had ever had. Alva was right in his judgment that, if the Percys, Nevilles, and Dacres could do so little, the Howard group, whose estates, vast as they were, lay, for the most part, in more orderly and civilised parts of the country, could do still less. There was, indeed, some talk among them of seizing the Queen at the opening of the Parliament of 1571, just as there had been a talk of arresting Cecil two years before. But the truth was that insurrection was a played-out game in England; and if Norfolk had been a ten-times abler and bolder man than he was, it would have made no difference. The true history of the time is not to be read in the croakings and wailings privately exchanged between Cecil, Walsingham, and the rest of the Protestant junto, angry and alarmed because Elizabeth would not let them play her cards for her. It is a strange perversity which persists in adopting their view that she was on the brink of ruin, when the patent fact is that Protestantism was making rapid strides, that the Queen’s personal popularity was increasing every day, and that Spain, France, and Scotland, the only countries with which she was concerned, were all humble suitors for her alliance on almost any terms that it might please her to exact. The correspondence of Philip with Alva is there to prove, that while writhing under the repeated aggressions of England, he was obliged to put up with them because a war would imperil his hold on the Netherlands. To all the invitations of the Norfolks and Northumberlands, the able and well-informed Alva turned a deaf ear, because he believed Elizabeth too strong to be overthrown. A French alliance she could always have as long as the Guises were excluded from power. If they regained their influence the Huguenots would keep them fully occupied. Scotland, unless foreign troops made their appearance there, could be no source of danger to England. Elizabeth’s policy was thus, in its broad lines, as simple as it was successful. At home it was her wisdom to wink as long as possible at the disaffection of the few, to win the affection of the many by economical government, to reserve the persecuting laws for special cases, while preventing any general and sweeping application of them, and, lastly, to drive no party to desperation by a too pronounced encouragement of its opponents. Spain, as being the centre of reaction and the hope of her disloyal nobles, she meant to harass and weaken as far as she could do so without bringing on an open war. With Charles IX. and his mother she desired a defensive alliance, and an understanding that neither country should send troops into Scotland or permit Spain to do so. In its general conception, I repeat, this policy was simple and coherent. How it succeeded we know. There was nothing sentimental about it, though, where individuals were concerned, Elizabeth’s judgment was sometimes warped by sentiment. Upon the whole, she kept herself at the English point of view. Whereas Cecil was compelled by personal considerations to place himself too much at the point of view of his “brethren in Christ,” both at home and abroad. However, a plot there was, and it was necessary that it should be unravelled and punished. Almost from its inception, Cecil (created Lord Burghley February 1571), had been more or less on the scent of it. Hints had come from abroad: spies had been employed: suspected persons had been closely watched: inferior agents had been imprisoned, questioned, racked: and enough had been discovered to make it certain that Englishmen of the highest rank were plotting treason. Who they were might be suspected, but was not ascertained until a lucky arrest put the Minister in possession of evidence incriminating Norfolk, Arundel, Southampton, Lumley, Cobham, the Spanish ambassador, the Bishop of Ross, and Mary herself (September 1571). Norfolk was sent to the Tower, and the other peers placed under arrest. The ambassador was dismissed. The Bishop made ample confessions. Mary, who had hitherto lived as the guest of Lord Shrewsbury, enjoying field-sports, receiving her friends and corresponding with whom she would, was confined to a single room, and carefully cut off, for a time, from all communication with the outer world. Both in England and abroad it was universally expected that she would be brought to trial and executed. James was at length officially styled “King” and his mother “late Queen.” Her partisans in Edinburgh Castle were informed that she would never be restored, and that, if they did not surrender the Castle to the Regent Mar, an English force would be sent to take it. The casket letters had hitherto been withheld from publication under pressure from Elizabeth; they were now at last given to the world in the famous “Detection” of Buchanan. Under any other Tudor, or under the Stuarts, all the peers arrested would undoubtedly have lost their heads. Norfolk alone was brought to trial (January 1572). There was much in the proceedings which, according to modern notions, was unfair to the accused. But the peers who tried him felt sure that he was guilty, and they were right. Subsequent investigations have established beyond a doubt that he had conspired to bring a foreign army into the country–the worst form that treason can take. He had done this with contemptible hypocrisy, for a purely selfish object, and after the most lenient and generous construction had been placed on his first steps in crime. And yet historians have been found to make light of the offence, and to pity the malefactor as the victim of a romantic attachment to a woman whom he had never seen, and whom he believed to be an adulteress and a murderess. During the spring of 1572 Elizabeth hesitated to let justice take its course. She had reigned fourteen years without taking the life of a single noble. The scaffold on Tower Hill from such long disuse was falling to pieces, and Norfolk’s sentence had made it necessary to erect a new one. Elizabeth was loath to break the spell. Not knowing with any certainty how many of her nobles might have given more or less approval to the Ridolfi plot, but confident that she could cow them by letting the voice of the untitled aristocracy and middle class be heard, she called a new Parliament (May 1572). The response went beyond her expectation. Of Mary’s well-wishers, once so numerous, all except a few fanatics had now given her up. Two alternative courses of action with respect to her were submitted for consideration, with the intimation that the Queen would accept whichever of them Parliament should approve. The first was attainder. The second was that she should be disabled from succession to the crown; that if she attempted treason again she should “suffer pains of death without further trouble of Parliament;” and that it should be treason if she assented to any enterprise to deliver her out of prison. Both houses at once voted to proceed with the attainder. Elizabeth, we may be sure, was not sorry for this unmistakable exhibition of feeling. It would open the eyes of her enemies both at home and abroad. But she had no intention of proceeding to such extremities this time. Mary should have fair warning. Accordingly Parliament was desired to “defer” the bill of attainder, and to proceed with the second measure. But the Commons were in grim earnest. They immediately resolved that the second bill would be useless and even mischievous, as it would imply that at present Mary had a right of succession, whereas she was already disabled by law; and that they therefore preferred to proceed with the attainder. With this resolution the Lords concurred. Here they were on dangerous ground. To rake up the law empowering Henry VIII. to determine the succession was to disable all the Stuarts, James included, and so to throw away the opportunity of uniting the crowns. Elizabeth had always, for excellent reasons, refused to allow this question to be raised. Accordingly she again directed the House to defer the attainder; she would not have the Scottish Queen “either enabled or disabled to or from any manner of title to the crown,” nor “any other title to the same whatsoever touched at all;” to make sure of which she would have the second bill drawn by her own law officers. To the repeated demands of the Commons for the execution of Norfolk, she at length gave way, and a few days later he was beheaded (2 June 1572). The second bill, as drawn by the law officers, passed both Houses. Its exact terms are not known, for it never received the royal assent. Burghley who was of opinion (as some one afterwards said about Strafford) that “stone dead hath no fellow,” bemoaned himself privately to Walsingham on the disappointment of their hopes; and modern historians, with whom his authority is final, are loud in their condemnation of Elizabeth’s vacillation and blindness. Vacillation there was really none. She had determined from the first not to allow Mary to be punished. She had gained all she wanted when the temper of Parliament had been ascertained and displayed to the world. There have always been plenty of people to accuse her of treachery and cruelty because she put Mary to death fifteen years later, for complicity in an assassination plot. How would her name have gone down to posterity if the Scottish Queen had been executed in 1572 merely for inviting a foreign army to rescue her from captivity?